Anyone planning a visit to Kuwait later this year may be in for a shock when they find they’ll have to give the government not just their passport, but also their DNA. A 2015 law requiring all citizens, residents and visitors to provide DNA to the government’s database will go into effect later this summer, according to Kuwaiti officials, making the small Gulf nation the first country in the world to legislate mandatory DNA collection. The $400 million database will store the DNA samples of at least 3.3 million people—a mandate that international privacy and legal analysts are concerned is excessively broad. Almost everywhere else in the world, those who aren’t suspected criminals, terrorists or government employees are generally excepted from biometric data collection of this nature. “A universal database would not hold in the case of human rights litigation because the idea that you could at some point commit a terrorist act would not be seen as proportional to the right to privacy,” Prainsack said. Such indiscriminate collection violates the international standards for privacy established by the International Covenant on Civil and Political Rights, which Kuwait ratified. The covenant requires DNA databases to be extensively regulated and proportionately narrow in scope. 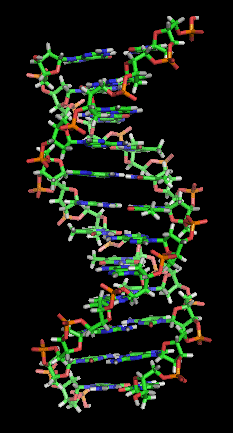 In 2008, the European Court of Human Rights ruled that broad collections of non-criminal DNA likewise violated an individual’s right to privacy. The decision affected collection procedures in the United Kingdom, which had previously retained fingerprints and DNA from suspects not charged of any crime indefinitely. Helen Wallace, the director of GeneWatch, a U.K.-based advocacy group, called the database “out of step” with an emerging human rights consensus that has emphasized narrowing DNA collections. The U.K. government, Wallace noted, destroyed millions of samples in its database after the 2008 ruling. Kuwaiti authorities have not clarified the details of how they plan to implement the DNA database, according to several human rights advocates. The law forbids refusing or falsifying one’s DNA sample, but safeguards about how individual samples will be shared, stored and processed have not been made public. In response to a May 2015 ISIS suicide bombing in the country’s capital, the Kuwait National Assembly passed the mandatory DNA collection legislation as a counterterrorism measure that June. Kuwaiti officials told the Kuwait Times that the database would not only solve crimes more quickly in the case of terrorist acts, but also help to identify bodies in natural disasters. Bioethics advocacy organizations like GeneWatch have also raised concerns that DNA databases could be used to track individuals at scenes of protest, especially in regimes where freedom of speech is restricted. “Totalitarian regimes have often tried to build databases on all citizens to develop targets that they’d like to discriminate against,” Wallace said. Wafa Ben Hassine, a legal analyst and former fellow with the Electronic Frontier Foundation, said the information revealed by DNA could further be “used to discriminate against people who are non-citizens.” In particular, human rights advocates fear that the database could be used to exclude the country’s stateless Bidoon population, which numbers around 100,000. Nationwide DNA testing could be used to establish genealogical markers of ancestry that would exclude Bidoon claims to citizenship. “People are worried this law is being said to fight terrorism, but is actually trying to eliminate as many bids for nationality as possible,” Willes explained. The unprecedented scope of Kuwait’s plans, however, may make their implementation difficult. As databases increase in size, so do the potentials for false matches. Massive databases may actually prove less efficient in the case of terrorism, by increasing the amount of time spent on an investigation and possibly resulting in miscarriages of justice, according to Wallace. Building such a massive database also takes time. Willes said that it appears “unlikely” that the program will be implemented in the summer timeframe suggested by authorities. The U.S. government has no doubt set an example: the FBI currently houses the world’s largest biometric database, storing DNA, fingerprints and other identifiers from a range of criminal and civilian settings. The U.S. also collects biometric information from travelers at national and international customs, which can be shared across federal and state law enforcement agencies. Kuwaiti officials, who did not respond to repeated requests for comment, told the Kuwait Times in January that their database would be “at par” with those in the U.S. and the U.K. If all goes as planned, they may even exceed the FBI’s capacious precedent. Ava Kofman is a journalist based in Brooklyn, whose reporting on technology has appeared in The Atlantic, The Intercept, The Nation, and elsewhere. Follow her on twitter: @eyywa.